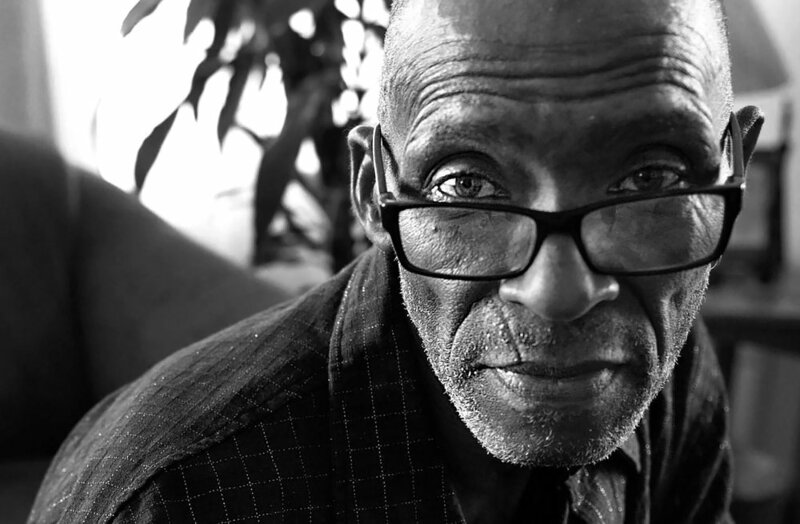 Steve Daniels saw his work in drug-stricken communities as a form of moral commitment to help those who had struggled like he had. He died in early in 2017. Photos by Callaghan O’Hare. In our Spring 2017 issue, we published the remarkable, first-person stories of two advocates who've spent years fighting for the humane treatment of drug users in North Carolina and elsewhere: Steve Daniels and Louise Vincent. Last week, we published Louise's story, along with an introductory note. Here's Steve's story. Sadly, between the time of his interview and the issue’s print deadline, Steve passed away. Scalawag is grateful for the time and insight he shared with us, giving freely of himself and speaking honestly about the challenges that the South faces when it comes to combating widespread drug addiction. But Steve was optimistic about the progress that he and others were making, both in terms of saving lives in North Carolina neighborhoods and changing minds in the state legislature. He had even planned to volunteer at Winston-Salem’s first legal syringe exchange once he was well enough to leave the hospital. As fellow harm reduction activist, Erika Mishoe, put it to Jonathan Michels, "I can't help but think he finally let his physical body go because harm reduction has finally made progress in this area." Thank you, Steve. [I got the name “Gator”] from school. When you're young and you do stupid stuff, that's what I did. They said, "You're tough like a gator." It just stuck with me over the years. I'm 67 years old. I shot drugs and did all that stupid stuff we did back in the day. This all started when I was up in college in Richmond. I didn't last long up there and moved back home. Then I went to UNCG [the University of North Carolina at Greensboro] and stayed there for a little while. But that didn't last long. I started making these trips to the State Department of Corrections. That was for awhile. It never dawned on me that drugs were the problem. I went into drug treatment 14 times before it clicked that I might need to stop shooting drugs. The last time I went, I just put all of my efforts into stopping. I stopped on June 4, 1996. I just celebrated 20 years of no drugs or alcohol. My life really took a change for the better. I watched all my friends die from some form of virus...Hepatitis...HIV...and I'm still around here. I've had HIV for 32 years. Never been sick a day in my life from HIV complications. But I've had a series of cancers; I had pancreatic cancer first, then I had throat cancer. These cancers have really taken a toll on me. Throat cancer came from smoking cigarettes and from smoking crack. Once I got drug-free, it was my responsibility to help the people who were still out there on the street struggling with the same things I was dealing with. There was no needle exchange or nothing like that around. Hell, no. Wasn't anyone doing that, man. No. This is a dangerous undertaking. You have to go to where the people are. I had to go into dope houses to bring stuff to people who needed it the most. Because they couldn't go to me, I had to go to them. I started working at Piedmont Health Services and Sickle Cell Agency in Greensboro. I started walking the streets of Greensboro, drawing blood on-site because the health department wouldn't come do that. When the health department stopped, I picked it up. It's harder shooting dope than it is drawing blood. Drawing blood is easier because the equipment does the work. That was simple for me. A lot of people told me I was crazy for going back into the community. It was time for me to give something back to the community that I had took so much from. In 2016, Daniels celebrated 20 years without drugs or alcohol. Since getting clean, he has dedicated himself to helping others. You gotta realize where you're at. This is the South. They kinda slow. For people down here to warm up to the idea [of a syringe program for drug users]... it takes time. I know the mindset of some of these people. A lot of people think that when you give out syringes, what you're doing is helping people to continue to use drugs. I'm going to tell you what changed their mindset: money. Something else: the face of HIV and injection drug use has changed. No longer are Black people the only ones shooting drugs. Young, White females. It hurts me to see so many young people strung out on opiates. They start out with pills that they get from their mother's and father's medicine cabinet. When that supply runs out, they end up coming to the spot where they sell heroin. They buy heroin because the opiates or the pills they were taking had dried up and run out. It just hurts me to my heart to see so many young people. White people. Go to any methadone clinic, go to the treatment centers. People look out for their own. Now that Black people aren't the face of the HIV epidemic, well as far as opiate addiction is concerned. When you hear all this rhetoric about opiate addiction, it's on the news everyday somewhere, because it's devastating the community, it is. When we were the ones that were overdosing because of opiate addiction, it didn't matter. It's just like all these police shooting these Black people. We didn't matter then. We didn't matter when we were the ones being devastated by the opiate addiction. But now that things have changed, that has not stopped my commitment to help the people in the community. If you have never shot drugs… if you have never experienced what it takes to go through all the stuff you have to go through to shoot drugs everyday, you ain't got a clue. The academic part of learning the do’s and don'ts when you're doing street outreach is one thing. If you haven't witnessed what it takes to be addicted, you could leave home in the morning and not make it home at night. I have practical application. I know when to pack up and when to step off. I've been with people who didn't have the practical knowledge of being an injection drug user get themselves into trouble, running their mouths and saying something that was inappropriate. Once a week I used to go out with people from the health department in Winston-Salem. Some of the people that I would go out with said the most outrageous stuff. The people they were talking to put them in check and had to straighten them out because they said something inappropriate. I hope none of them get killed or get hurt because they've never been trained in what it takes to be a good outreach worker. This is not an easy job to do. It's dangerous. Are you going to have the right people in these positions to help the community? I doubt it, but I hope so. Of the 246 North Carolinians who died from heroin overdose in 2014, 218 were White and 24 were Black, according to data collected by the North Carolina State Center for Health Statistics.